I am going to do up some bulk substrate for my first attempt mono tub. Has anyone heard of chopping up lemon grass into the mix it is supposed to be full of tryptamines. And it smells nice! If this is your first attempt at mono, I would recommend introducing as few variables to the tek you're following as possible. Once you have the science down, then comes time for experimentation. I second Pink on keeping things simple if this is your first time. However I imagine it won't hurt so long as it got dried first and then pasteurized. What tryptamines are in lemon grass? I know that something that comes out in the essiential oil has been show to have some sort of psycoactive effect (though it requires a rather large dose of the oil). I'm not sure its ever been demonstrated conclusively that providing tryptamines or tryptophan in the substrate actually increases the production of actives. It has certainly been demonstrated that the fungus will absorb some tryptamines, use them for synthesis, but in many cases that adsorption is poor (see here). These folks have sluethed out what is very likely the whole biosynthesis pathway. Unfortunately its behind a pay wall (google Sci-hub if you don't have database access) plus the way its written makes it a little hard to read. They are quite confident that it starts with L-Tryptophan which in humans is an essential amino acid. Ie. we cannot biosynthesize our own and need it in our diet. 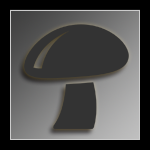 I do not know if that is the case for fungi as a whole let alone for Psilocybe sp. If that is the case the hypothesis would make sense if not less so. To the best of my knowledge (which honestly is not comprehensive in the slightest) that second paper, this one on horizontal gene transfer (Open access) and this one on gene duplication and derivation of the necessary enzymes is more or the less cutting edge of what is known about psilocybin/psilocin biosynthesis/genetics. I'm having a bit of trouble getting the paper on the gene duplication so I don't know more than what the abstract says. My point is that it appears that what regulates the biosynthesis of psilocybin/psilocin is still unclear. All this being said I could be totally wrong. I haven't dedicated that much time to spelunking the Scientific literature. Thank you Pink. Of course keeping it simple would be the safest path, but I can't help myself sometimes. The lemon grass is available cheap ($5 for what I need) at the many asian stores near by and that gardening supplier was asking $25 for a bail of straw. Coco coir is about the same price. The LG offers nutrient and water retention plus it is known for it's antibiotic properties, anything else is a bonus. Proven Teks are definitely that but I'm working with a small ( 1 quart ) amount of spawn and looking for something novel to do with it till new syringes arrive during our mail strike. 425 that is a lot of info to digest (no pun intended) and that "Sci-hub" is way cool. In the spirit of "you are what you eat" it was something I read about many years ago regarding grass substrate. Looking back I think it might have been Canary grass they were talking about, extracting dmt from it and such. There is so much info available on this site, I'm just getting to know my way around here and have just found postings regarding alternative substrates and so much more. Many questions already answered no need to repeat. I see no evidence of tryptamine in lemon grass. No evidence to suggest adding tryptamine, etc to substrates improves potency. There have been many studies using lemon grass as oyster mushroom substrate. 100 per cent lemon grass substrate is a poor performer all around. Other substrates supplemented with lemon grass, performed worse than unsupplemented, but better than straight lemon grass. So it can be used. Using it 50/50 with nearly anything else would be better. Using nearly anything else alone would be even better. Thanks for dispelling the myths, I'll keep it simple. Organic cow poo all the way.